In the wake of the 2011 nuclear crisis, radiation levels at homes and areas nearby in a Fukushima village remain around three times higher than the government target despite cleanup work having been performed, an environmental group has said. In some areas of the village of Iitate and the town of Namie, levels of radioactivity detected at some points among tens of thousands checked in surveys last September and October were higher than they had been the previous year, Greenpeace Japan said in a report released Thursday. 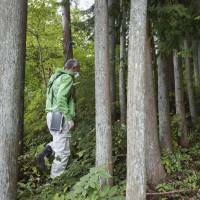 Most of the six houses surveyed in Iitate, located around 40 kilometers northwest of the crippled Fukushima No. 1 complex, logged radiation levels higher than the government-set target of 0.23 microsieverts per hour, ranging from 0.2 to 0.8 microsieverts per hour. Some areas in the village had seen radiation levels rise from 2016, Greenpeace said. “There is a possibility (the environment) was contaminated again as radioactive materials that had accumulated in nearby forests may have moved around,” it said. One house, located near a municipal office with slightly wooded areas nearby, marked lower radiation levels compared with the 2016 survey, but levels at another five houses — which are near forests that have yet to be cleaned up — have remained almost the same. The points surveyed covered areas in Iitate and Namie where evacuation orders have been lifted as well as some parts of Namie that remain designated as “difficult to return” zones following the Fukushima nuclear disaster, which was triggered by the massive March 2011 earthquake and tsunami. 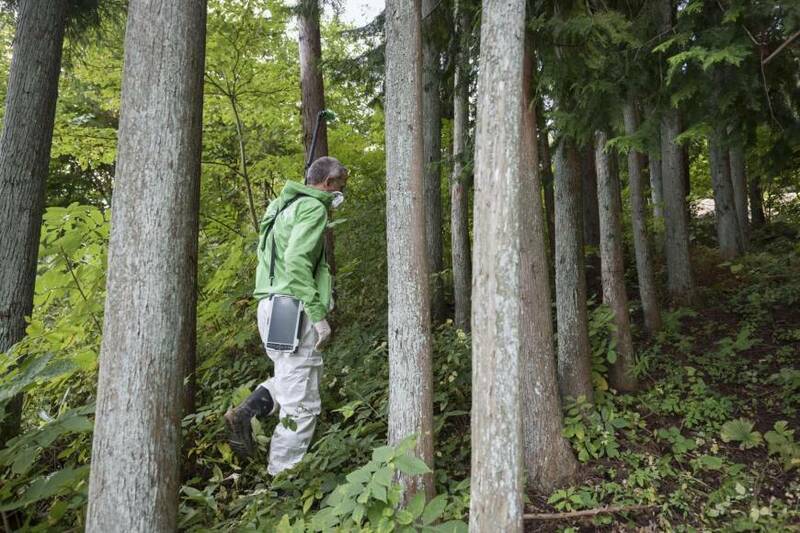 The survey also showed that the effects of cleanup work conducted in 2011 and 2012 in the Tsushima district of Namie, located 40 km northwest of the Fukushima plant, had been limited, with one house there logging radiation levels of 5.8 microsieverts per hour at the highest readings and 1.3 microsieverts per hour on average. The district is among areas designated as special reconstruction zones by the government. The state plans to carry out cleanup work and promote infrastructure development intensively at its expense to make such areas livable again.